The Nexus Launcher leak from earlier in the week seems to have captured the attention of all Android purists because well, it involves Nexus. Even as simple as the launcher is, everyone has been doing their best to either give the broken leaked version a spin, flash the fully working version as a system app, or re-create its simple elegance in their own launcher. Today, Action Launcher 3’s beta update makes that last option easier than ever. 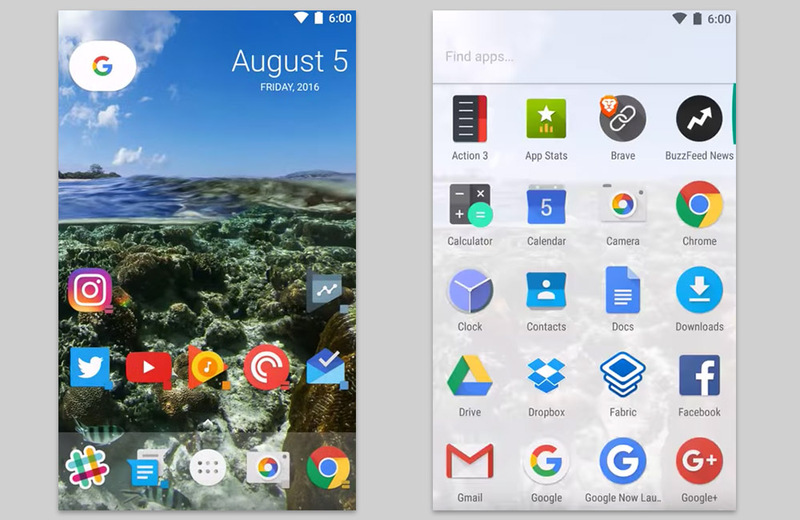 Through the update to the newest beta, users will have the option to enable the Nexus Launcher style app drawer that is accessed with a swipe-up. The feature is called “Nougat Style” even though this is the Nexus Launcher, so be aware as you go looking for it. The update also adds the Nexus Launcher page indicator style, dock place, and will let you use the Google “pill” button and date widget that you either love or hate. Again, this is only in the beta, which can be accessed through the link below.